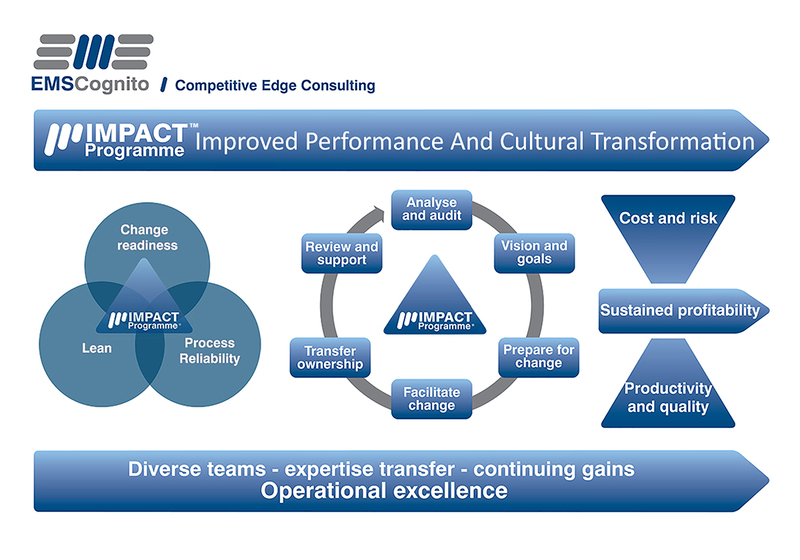 IMPACT Programme™ is a business transformation consultancy that can be applied to the whole of your organisation or to a single manufacturing plant. Every IMPACT Programme™ is unique. Its strength comes from engaging managers at a strategic level and focusing their attention on areas critical to their operation. Our Business Improvement Programme safeguards improvements and ensures a company’s self-sufficiency to continue them. By creating processes that are both reliable and repeatable, safety improves and unexpected events reduce. These gains are leveraged and costs and risks are reduced significantly. Our IMPACT Programme™ teaches how to, first of all, see and secondly, eliminate waste from the organisation. The resulting creation of operational processes that are simple, standardised and reliable guarantees quality product produced at the right cost on-time for your customers. As part of the IMPACT Programme™, multifunctional teams are engaged in the improvement process and take ownership of the transformation. Teams are trained and coached on how to maintain and continue to improve on the standards. Gains are locked-in by the new ways of working and continuous improvement culture and margin, therefore, improves in a sustainable way. Provides a benchmark of where your organisation is in relation to counterparts in your industry and your business goals. Our business transformation consultants will understand existing practices in order to reveal the potential for improvement. Helps you to set realistic goals based on business priorities, in line with available resources and taking into consideration any potential constraints. Develop a vision of Operational Excellence in your environment. What will this mean in terms of measurable goals? What are the strategies required to deliver these goals and how will we measure we are on track to deliver the benefits in the correct timeframe? EMS Cognito’s OGSM process facilitates business leaders through the process of creating a vision which is both all-encompassing but can be cascaded and communicated across all levels within the organisation. Assesses change readiness within the team including culture and attitudes. Understand that change needs to happen across all levels of the organisation. 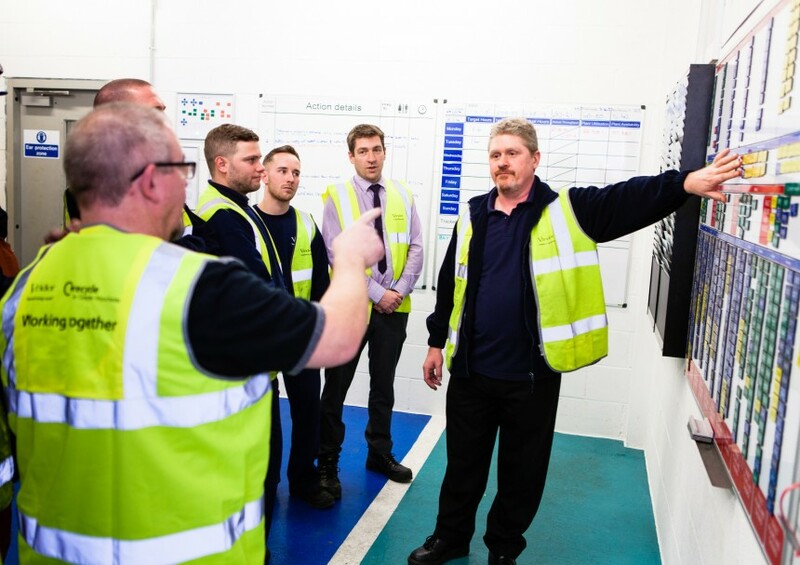 Engages the wider workforce as practitioners in interactive sessions held next to the “shop floor” to improve their operational processes and practices. It sets up an alliance between different functions and departments working towards a common goal. I. Our vehicle to improve productivity is our IMPACT Masterclass™. Delivering a sustainable legacy by creating champions of change within your organisation. Providing these champions with coaching, materials, validation of skills and qualifications. IMPACT Programme™ steering, auditing and guidance are provided throughout the implementation of the programme and beyond.